Denise Upah Mills - Excellent Cultures Inc.
Denise Upah Mills is a self-described Serial Entrepreneur. She is cofounder and Chief Mindset Officer of LeaderFuelNow, LLC and is also a principal of Pacific Accord, Inc. 25 years of successful business ownership experience that spans a variety of industries including: real-estate; insurance; financial services; agriculture; healthcare and technology provide her with a wealth of real world business knowledge. She has been the founder of 26 businesses with gross revenues in excess of $60 million. Denise launched Six Degrees Solutions LLC in 1998 (now known as Six Degrees Global Solutions), to help executives and business owners develop stronger business relationships and create strategic alliances through networking and coached over 800 start-up businesses in 2001 and 2002. Her work in networking has taken her to speaking engagements around the country and around the world. Ms. Mills’ business experience and intuitive gifts take front and center when working with leaders. Her capacity to work through difficult situations with outstanding outcomes is touted as exceptional by her clients. She has facilitated programs in a wide variety of industries and has assisted with pre-labor negotiations between union and management as well as strategically connecting diverse groups for business expansion. Her greatest talent is helping people become accountable for the solution instead of perpetuation of the problem. She coaches executives, business owners and entrepreneurs to increase profitability, both personally and professionally. Denise also works closely with The Kauffman Foundation, a top 30 Foundation in Kansas City, Missouri dedicated to helping aspiring entrepreneurs explore the feasibility of starting a business. 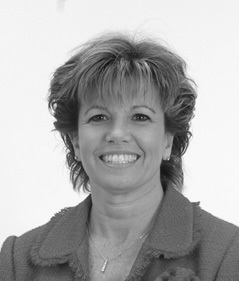 In 2011 and 2008 Denise was honored as one of the “Most Influential Women” in Kansas City. In 2010, she was selected to represent the United Nations peace initiative “Celebrate Positive” worldwide. In 2009 and 2003 she was recognized by Kansas City Small Business Monthly / Think Bigger Media as one of the Top “25 Under 25” Businesses in the Kansas City area, the first two-time winner in the history of the award. On December 30, 2005, Denise was invited and had breakfast in the White House with the First Lady. She was selected by the Johnson County Library system as their community representative when they received a national library award for excellence and used the Library’s resources to research and successfully plan a $50-million technology company. In 2002, she was recognized as one of 25 “Women Who Mean Business” by the Kansas City Business Journal. Denise currently serves as a Director on several Boards: the Girl Scouts of NE KS and NW MO, the Johnson County Library Foundation Board, Founder and Chair of A Better KCK Board. Excellent Cultures is honored to have Denise as a member of our advisory board.